The only guide you will need! 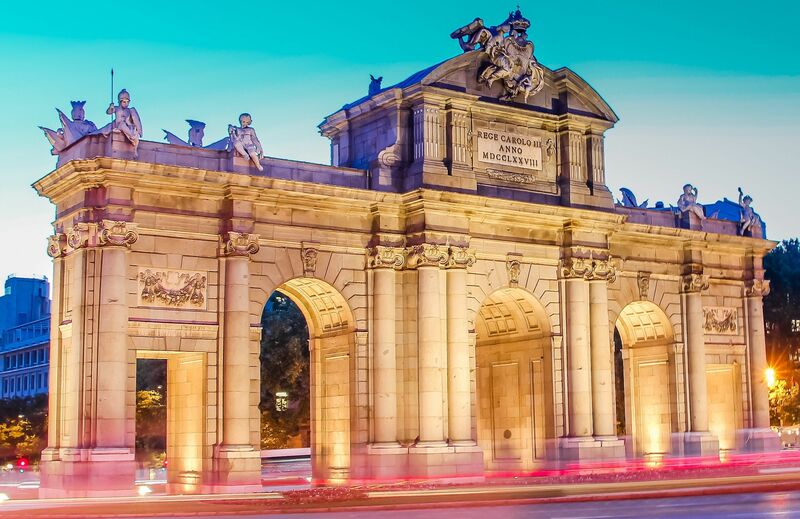 We've created the ultimate Madrid local travel guide for your next trip to Madrid! 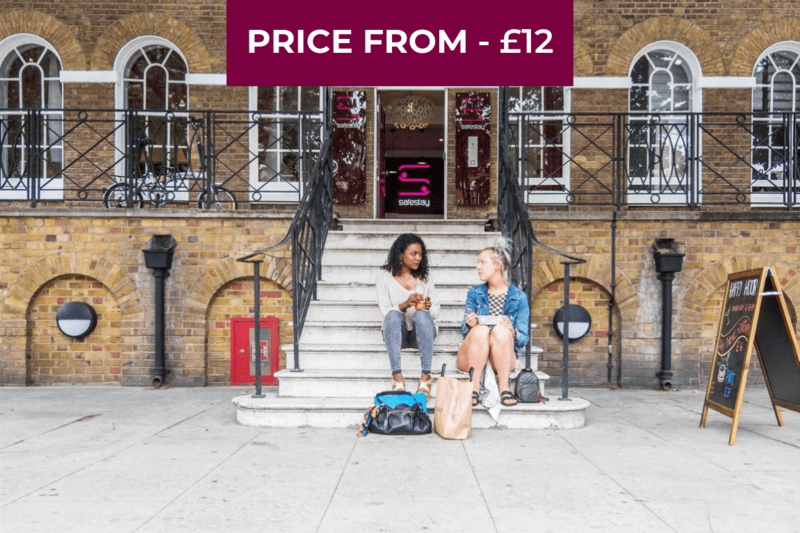 All the best places to drink, eat and see as well as the best Instagram spots all in one guide! What more could you need! 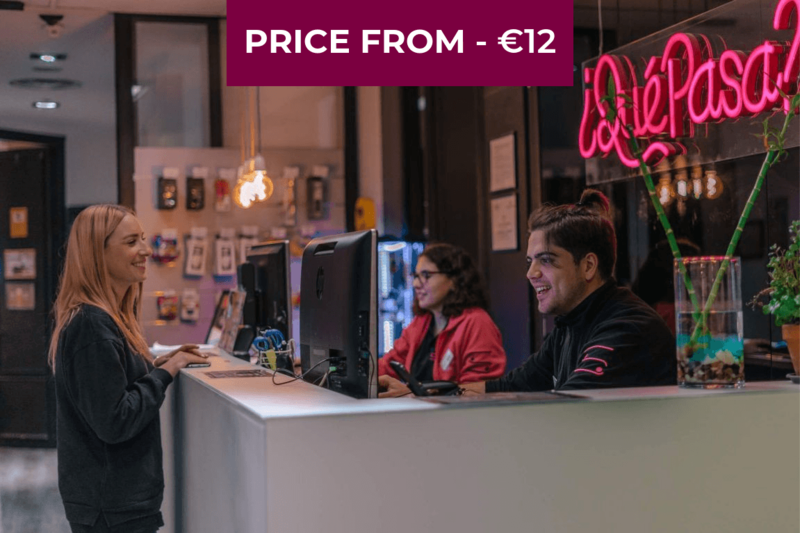 Read below to find out how to make your trip to Madrid one to remember! We also created a video! 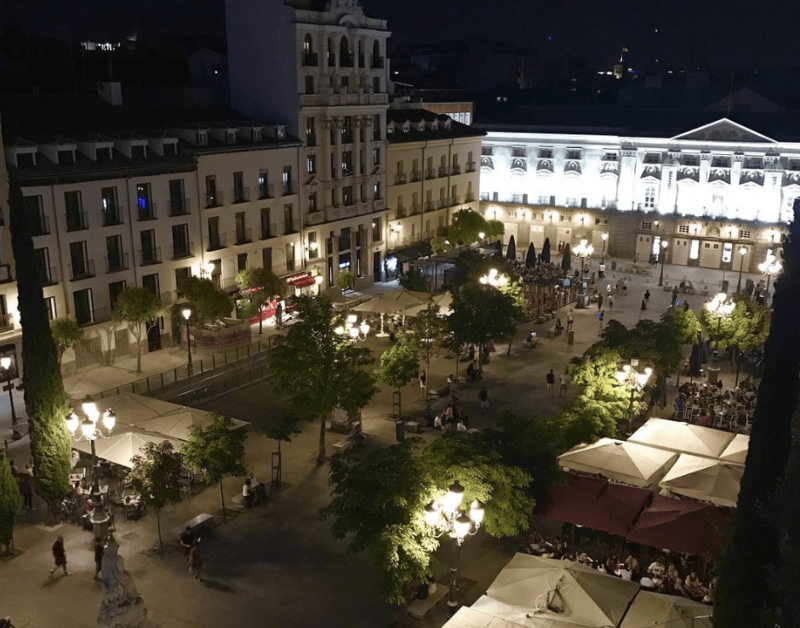 This video will show you how to travel in Madrid! The Plaza is full of great local bars and is a great place to sip on a drink and unwind! Why not visit Radio – a rooftop bar in the plaza that has a great panoramic view of the city? If you love beer then you must try Bee-Beer that serves a range of draft beers and some great tapas to wash it down with! If you prefer something unique then Mauna Loa is a great option! This hawaiian based bar serves a unique volcano cocktail which is big enough to share with friends so is definitely worth a visit! 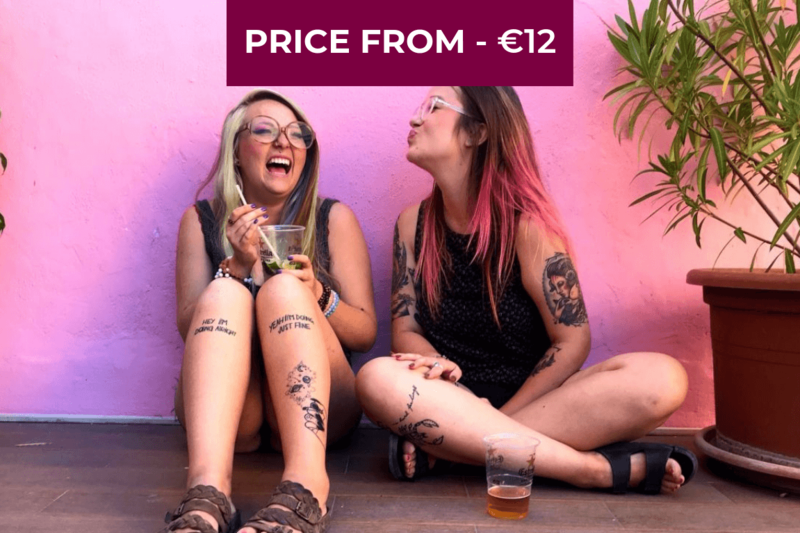 Why not hang out at the hostel’s own terrace bar and speakeasy? Serving great cocktails and food you can relax and watch the world go by! 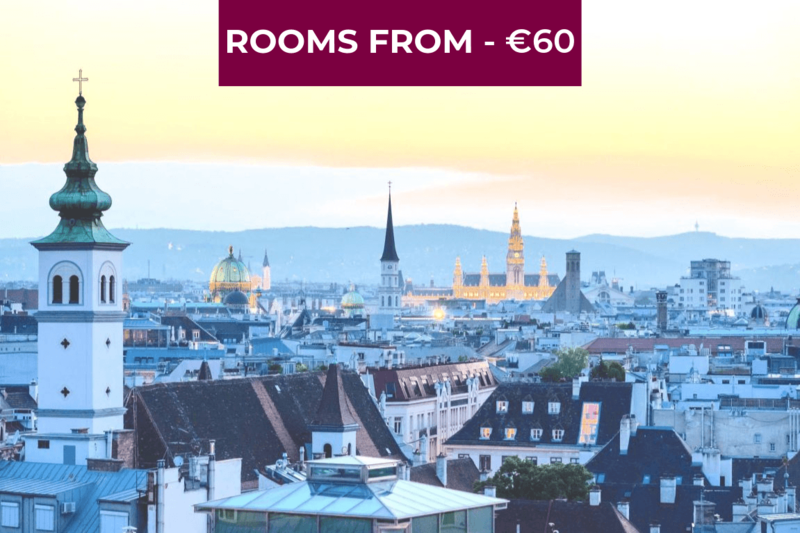 If you like the heat and enjoy tanning, the rooftop is the best place to catch those rays – or if you would prefer, why not have a drink after dinner and enjoy the sun setting over the city! The relaxed and casual atmosphere means this bar is great for any occasion! 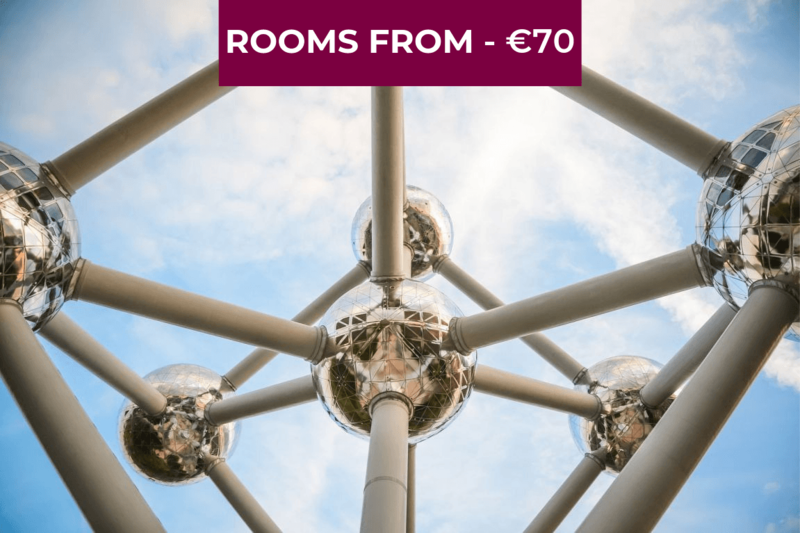 This seven-floor nightclub is surely not one to disappoint! 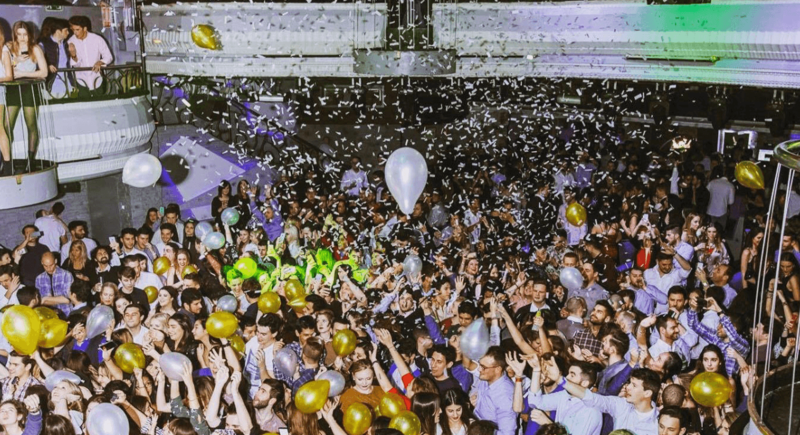 With each floor playing a different genre of music you are guaranteed to find a great tune to dance to! Make sure you dress to impress as the dress-code is smart but once you are inside you will be impressed with the fancy decor and great drinks! On the fourth-floor you will find a cocktail bar but each floor has its own bar for you to try some new drinks! 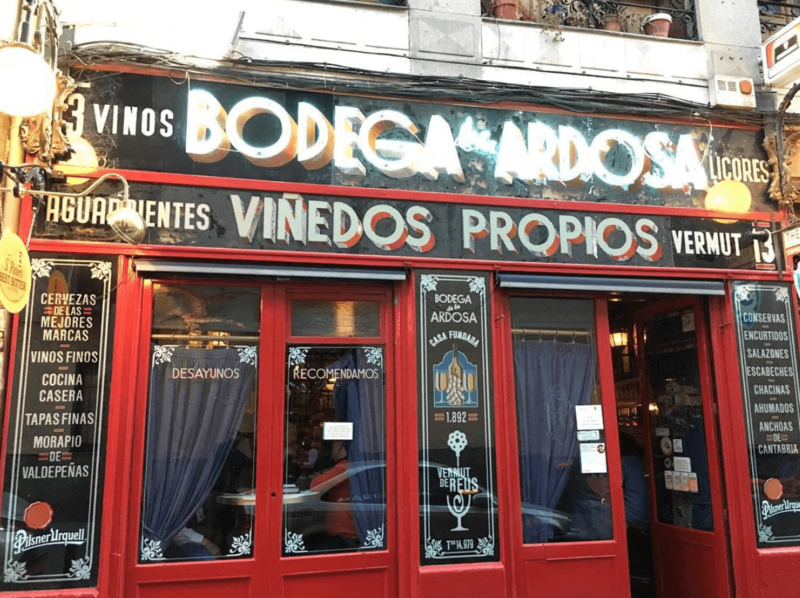 La Bodega de Ardosa is a great tapas bar in the heart of the city. This place is always popular so arrive just before rush-hour to get a table. Their well-known Tortilla is a classic and well-loved tapas dish here and is a must-try! Enjoy all kinds of wine from great prices while you sample all the tapas La Bodega de Ardosa has to offer! 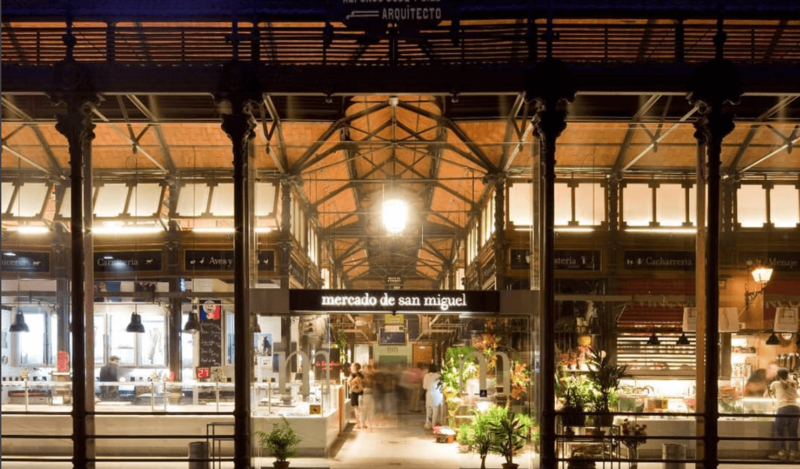 Mercado de San Miguel is a lively culinary market in the centre of the city! 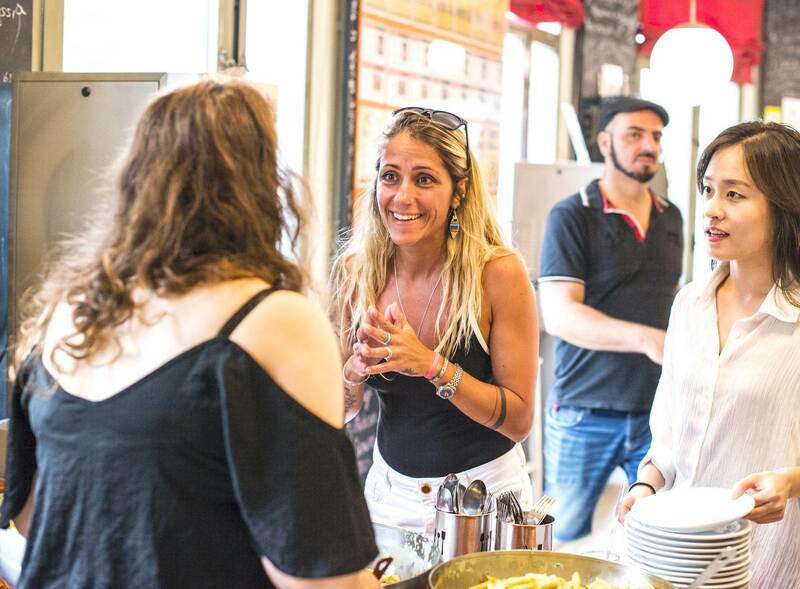 With many local tapas bars and food vendors you will not go hungry after visiting the market! 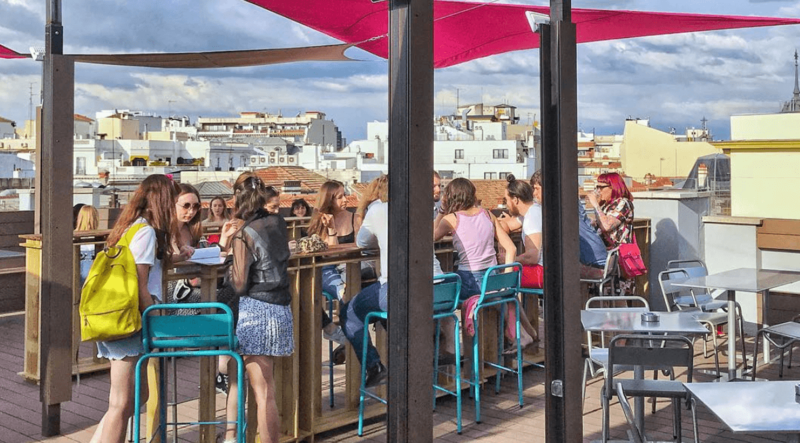 Enjoy a hearty glass of sangria while you sample some oysters, tapas, chorizo and olives and experience the best food that Madrid has to offer! 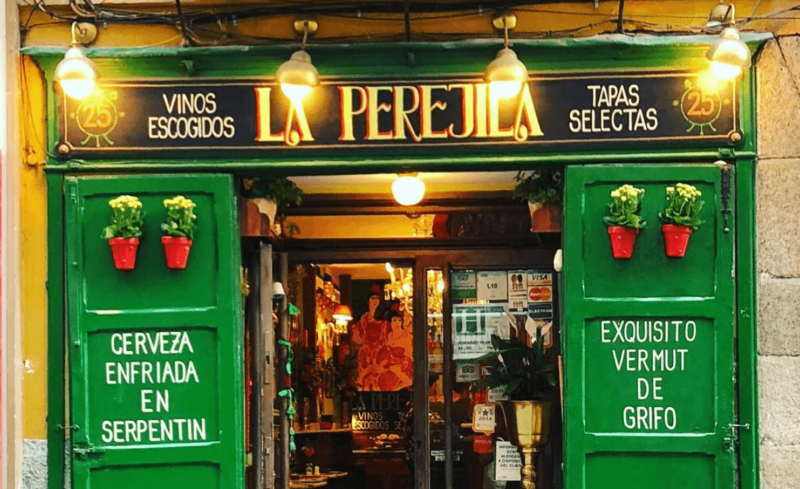 La Perejila serves authentic Spanish tapas and has an extensive menu of choice ranging from octopus, to iberian ham and smoked cod. This family restaurant is very popular among locals and tourists so make sure you turn up early to get a table so you do not miss out! 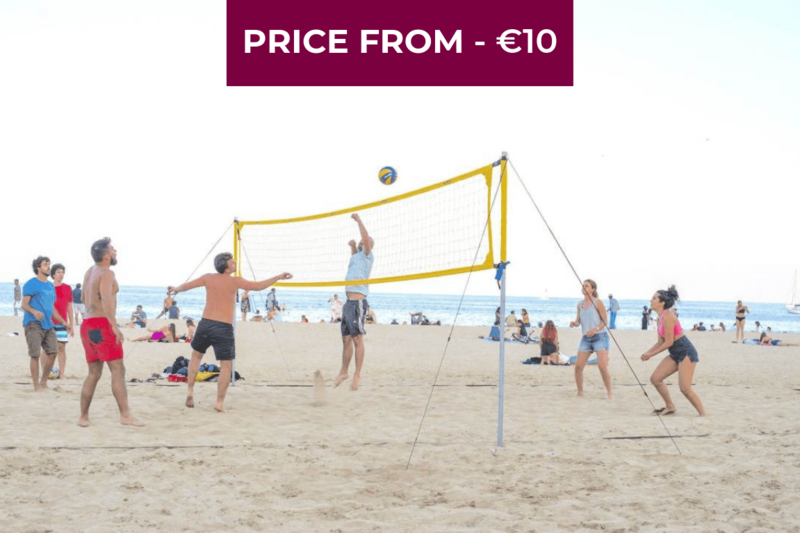 With a great atmosphere and even better food (and cheap prices) you cannot go wrong here! 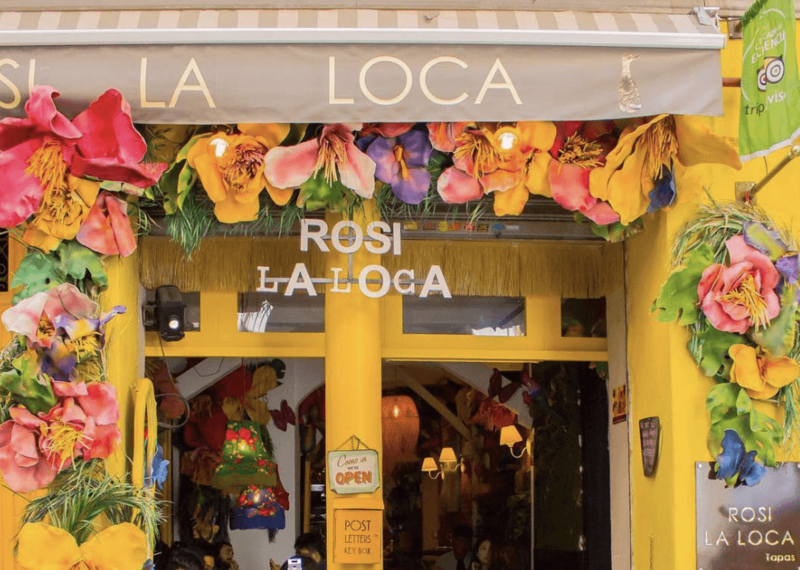 Famous for its paellas, Rosi La Loca will satisfy all of your paella cravings! You can either choose to eat tapas or if you are feeling hungry, you can share a paella with your friends and loved ones! 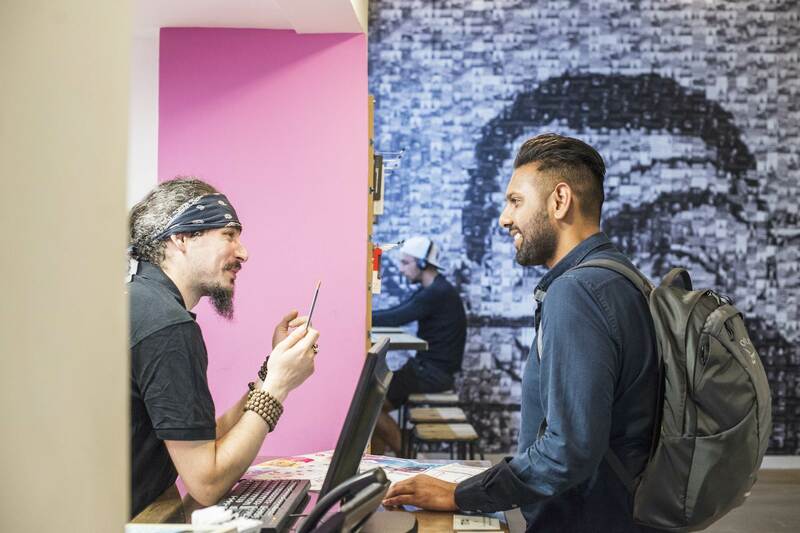 Serving meat, fish and vegetarian options, there is enough choice for everyone! 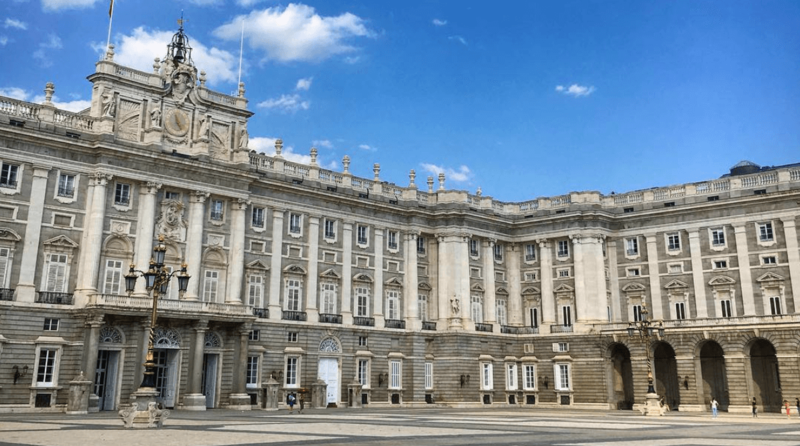 Although Palacio Real is no longer the royal’s family home it is still the official residence of the Spanish royal family and is a historic landmark in the city. The palace has over 3,000 rooms and hosts many state ceremonies throughout the year. The palace is partially open to the public except when it is being used for official business so check before you visit! 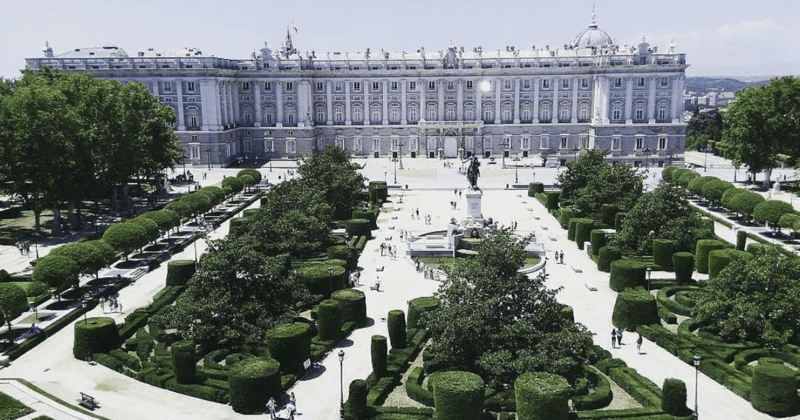 With luscious gardens and fine architecture the Palace is the central sight to see during your stay in Madrid. Known as the Spanish Broadway the Gran Via de Madrid is a lovely street full of shops and nightclubs and is always buzzing with atmosphere! Here you can watch famous flamenco dances or go to the theatre and see The Lion King and other famous performances! 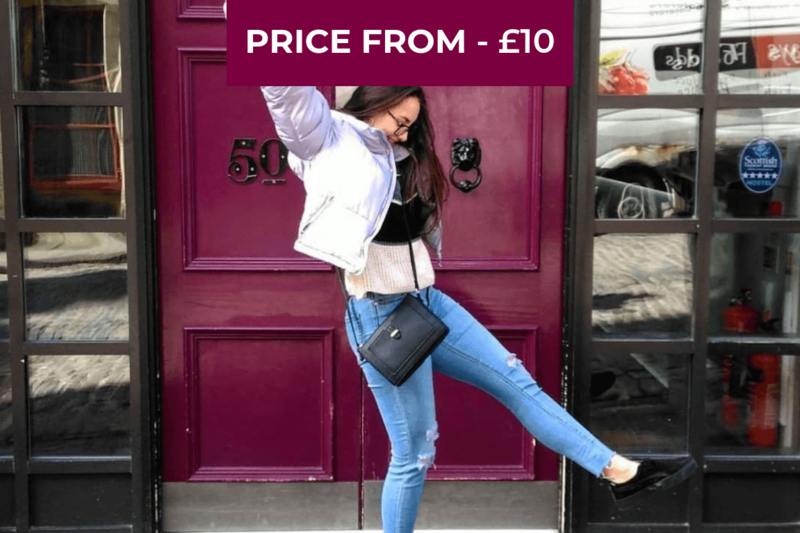 If you need some retail therapy you can hit the shops and splash the cash on a new wardrobe. 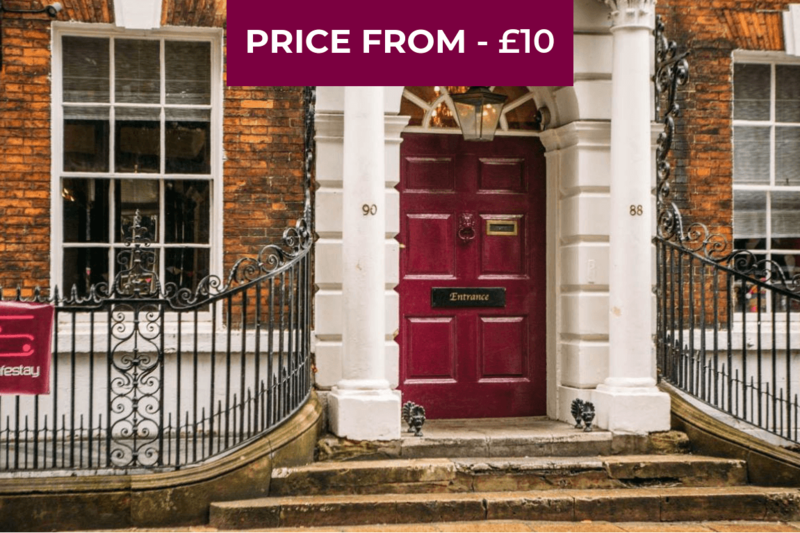 If you fancy something more low-key you can walk around the street observing the beautiful architecture and visit a bar to quench your thirst from all the walking! The Buen Retiro park covers over 125 hectares and is one of the largest parks in Madrid! Home to over 15,000 trees this is truly a place to relax and enjoy nature. 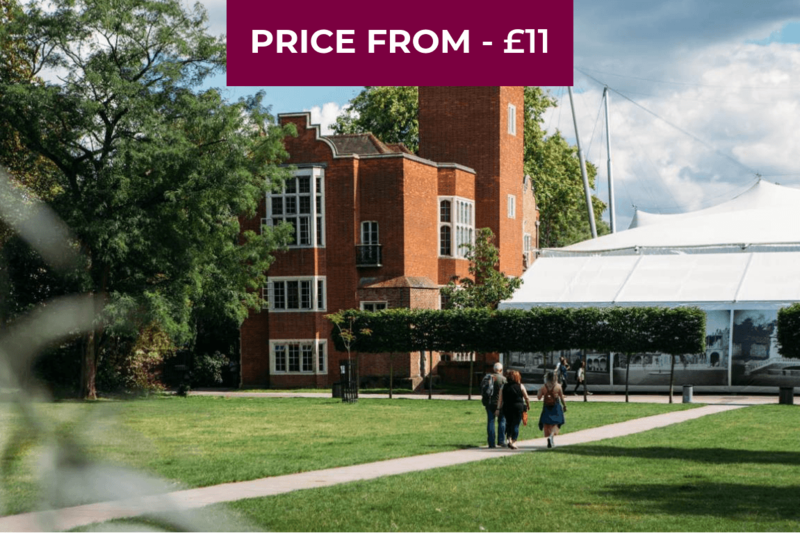 You can go for a stroll around the grounds, visit an exhibition or play some sport. The park also has an artificial lake where you can row boats with your friends or your partner. There are plenty of cafes so you can refuel in the hot weather while you soak up the sun and the beautiful landscape. 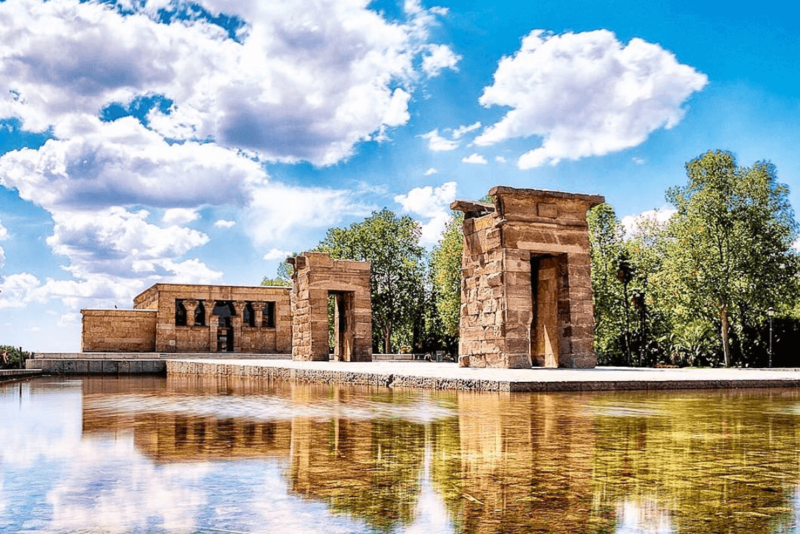 The Temple of Debod was an Ancient Egyptian temple that was dismantled and rebuilt in Madrid and can be found today at the Cuartel de la Montaña Park in Madrid. If you visit here at night the temple is lit, so you can get a picture with great lighting alongside a great symmetrical scenic shot through the middle of the temples! 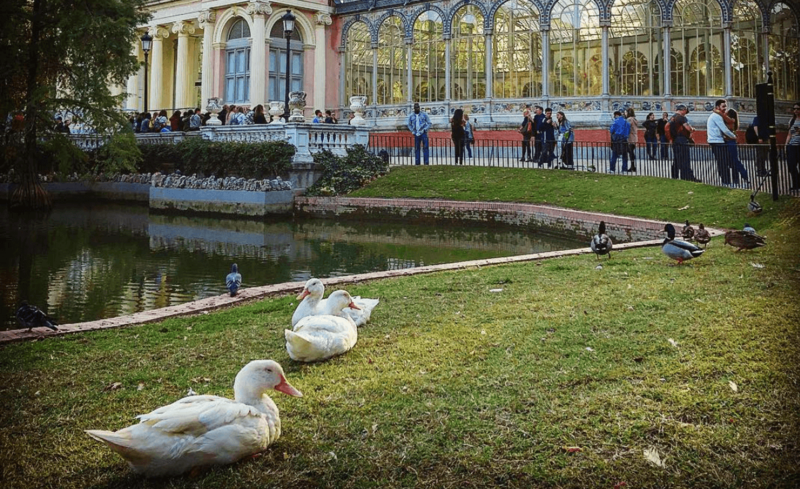 The Palacio de Cristal is located in The Buen Retiro park and is a glass infrastructure. Decorated with beautiful ceramics and made nearly entirely out of glass and with a eco-green backdrop, this is a great spot to take an instagram photo! The Sabatini and Campo del Moro Gardens are located within the Royal Palace and offer a great view of the Palace for a scenic shot. If you prefer a picture with you or your loved ones in it then take it by the fountains in the Sabatini Gardens and that will definitely get your followers liking your post! Don’t forget to tag #SafestayMadrid in your posts so we can see your great photos!